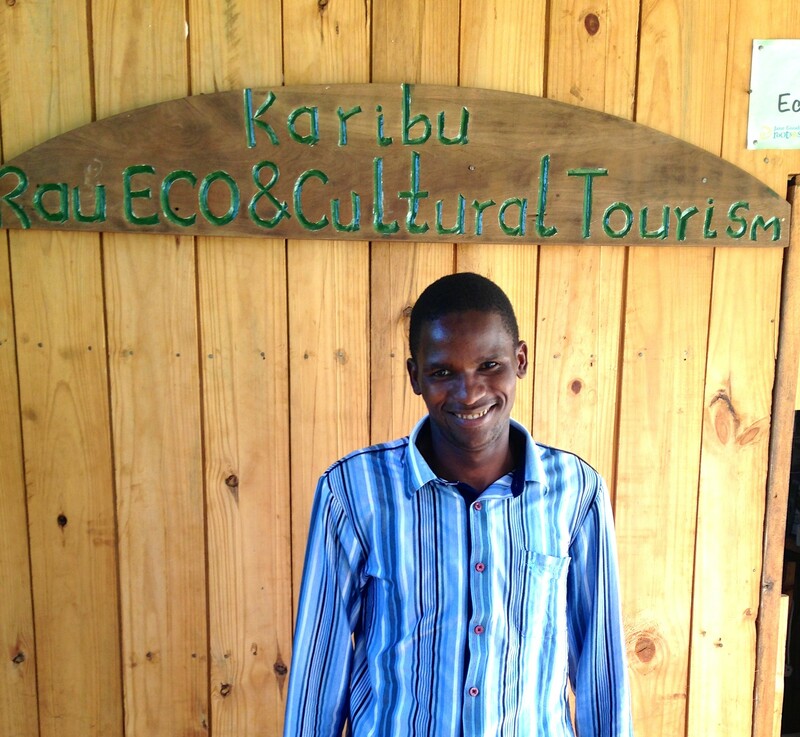 Hassan Mpanda volunteers as a tour operator through AVC at Rau Eco & Cultural Tourism Enterprise: a community-based, sustainable tourism enterprise that offers farming and market tours, forest hikes and village visits. Their goal is to promote eco-friendly tourism by involving local people, raising awareness about environmental conservation and supporting community projects. My uncle is a tour guide, and from a very young age I decided I wanted to follow in his footsteps. I remember he would tell me about all of the opportunities I could have and all of the people I could meet, and that’s what inspired me to want to become a tour guide myself. I loved the idea of meeting people from other countries and having the opportunity to be a leader! I knew from the bottom of my heart that working in tourism is what I wanted to do with my future. Now, I am so happy to say that I am a tour guide with Rau Eco & Cultural Tourism Enterprise. I have many responsibilities that include: preparing proposals to gain funding, taking clients on tours, checking the organization’s email, taking care of the tree nursery, organizing conferences, marketing and much more. My favorite thing to do is to take clients on walking tours of the forest. I think the reason being a tour guide makes me so happy is that I am able to teach people something new that they don’t understand, and help them understand it. It makes me happy when my clients show their appreciation for me and understand what I am teaching them. I also really enjoy taking care of the tree nursery. We have a tree nursery at the boundary of the Rau Forest, where my office is located. I have been learning how to maintain it. Every day I irrigate the trees. We plant seeds there to grow trees which will eventually be re-planted in the forest. We do this to help the forest! It’s a great trade because we plant trees for the forest to be sustainable and in return we get to give free tours there. I believe that preserving the forest and its flora and fauna is very important. I have also been discussing with my boss how to use an income generating project like bee keeping to our advantage. Keeping bees would allow the organization to rise up in the economy by producing bee honey that we could sell to people outside of Tanzania, for example to people in Kenya and Uganda. The climate in the forest is perfect for beekeeping. There is a river, which keeps the habitat wet, and there are lots of resources for bees. My bosses think this is a good idea, and as soon as the opportunity is available, we hope to start this project. In two years, I plan to open up my own tour company. I think starting my own tour company is a good idea because it’s difficult for many people in the Moshi area to find employment. A great way to move up in my society is to start something myself because then I can employ the people around me. A lot of the skills I am learning now are giving me the experience and knowledge I need to do that in the future. I have learned many skills through working at my placement. For example, I have learned about the best ways to be a tour guide for blind clients. I have learned that it is best to hold their hands and walk with them while explaining very clearly their surroundings. I always make sure to ask if they understand or if they need more clarification. I really liked learning this new skill because I get a lot out of spending time with them. They are different from other clients because they really want to learn from you, they depend on you and they trust you to take care of them. In addition to these skills, I have also learned how to be comfortable and confident in the future when I decide to open my own business. Volunteering has also taught me how to work with a variety of different populations, which is very important in the field of tourism. I have learned a lot about the population of Moshi–many of the people are not fighters, and that is why they are still living in poverty. When you are lazy, you can’t expect to succeed, and when you work hard, you do succeed. 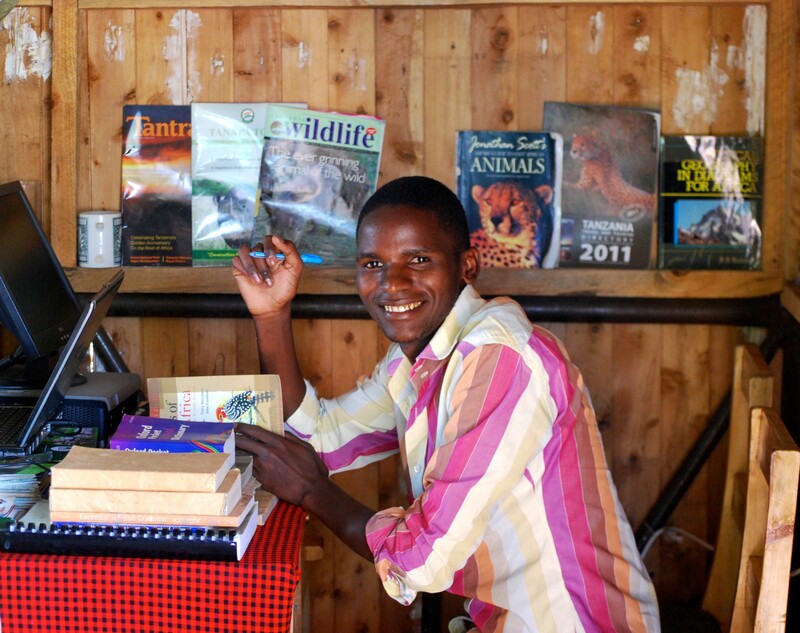 Teaching people how to work hard and fight will create a more developed Tanzania. Working with AVC has already helped me in so many ways. I have learned how to start an organization, how to fundraise for it, how to register it, how to advertise it and more. I now know how to work with different types of tribes and groups and I feel motivated to gain work experience with different organizations so that I can keep working toward my goal of one day starting my own tour company.